There is a new addition to the Vermillion Watch series. And it is just as good as you would expect! The Watch is in danger and it is up to you to follow the leads and solve this case. 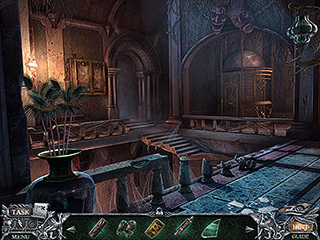 Vermillion Watch: Fleshbound Collector's Edition is a terrific hidden object puzzle adventure game from Eipix. This game's graphics and audio are excellent and perfect for a detective story in London. A very important item was stolen. It was a meteor piece that is worth more than you can imagine. A calling card that was found at the scene belongs to a master thief and leads you to the evil Red Queen. After your uncle's death, you are now one of the Watch. You play as a young Hawkes, but you are in good company of a more experienced mentor friend, Phileas Fog. After this complicated case with the Red Queen, you are to rescue your new associate in the bonus game. This game's graphics and audio are excellent and perfect for a detective story in London. They give you beautiful panoramic views and detailed scenes, and time and place appropriate items, and those London accents! Great job, Eipix! It is a perfect game for a rainy day as you walk the foggy streets of London. 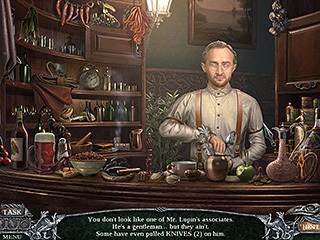 The hidden object scenes offer you a great variety of search types. There are groups of the same item, words in a narrative, finding differences and e few more. The puzzles are fun to play, too as long as you like them. If not you can skip them or set the time for the hints and skips as you want to be done with them quickly. But if you do enjoy the puzzles, you are going to love the varying difficulty level. Some of them will make you work hard. The game gives you an interactive map that transports you to where you want to be. There is also a strategy guide to help you out if you get lost. The game features four modes including a custom one. There are quite a few CE extras. 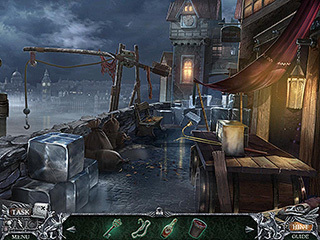 You get to earn 18 achievements, find 41 collectibles and 15 morphing objects, replay 15 hidden object scenes and 20 puzzles, and of course, download all the media extras. Check this one out whenever you are ready for a good detective story. This is Vermillion Watch: Fleshbound review. Download this game here.